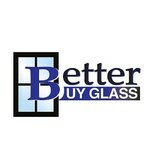 Better Buy Glass has been servicing Georgia for over 40 years and we are now servicing the Charlotte NC area as well. We strive to provide the highest quality glass service along with the best price! Hanging pictures, artwork, mirrors, and other decor items at home might seem like a simple task. But if you’ve tried it, you know what can go wrong. Who could forget the crack in the wall, the painting that refuses to hang straight, or the heavy mirror that fell and shattered? How about the photos you wanted in a straight row that ended up uneven? The challenges may be even bigger if you’re responsible for the decor in your office. You may need to hang dozens or hundreds of items. They’ve got to look good and stay level, even after your cleaning crew leaves the office each night. Don’t trust your home or office to just anyone with a hammer. Turn to Absolutely Picture Perfect, led by Glenn Christensen. Eastern Glass Company is a full service glass company. Family owned and operated since 1995. 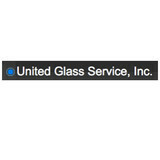 In business since 1978, United Glass Service is a family owned and operated company located in downtown Charlotte. Our installers have over 75 years combined experience. We offer a wide range of glass services including, Auto Glass, Heavy Truck Glass Replacement, Commercial Storefront, Residential, Frameless Shower Enclosures, Mirrors, Tabletops and much more. If glass in involved, we can handle it! No job is too big or too small. We also have an industry leading LIFETIME warranty!! We have been around for 35+ years so you can count on us being here should any problems arise. Window tinting in the Gastonia, NC area! Dallas Paint and Glass was founded by Lamar “Yock” Stroupe in July of 1976. He built this building, as well as the business, himself. Originally we offered Glidden brand paint, window glass, tabletops and mirrors, but as time went on and the big box stores took over the paint market, we decided to focus exclusively on glass. Dallas Paint and Glass now offers custom frameless and framed showers, wire shelving and towers for closets and baths, custom framed mirrors, custom picture framing, commercial storefront aluminum and glass installation and design, as well as residential glass design and installation, single-pane and insulated glass window repair and replacement, Plexiglas and Lexan, custom-built screens and repair as well as storm window repairs. All Glass has all of your custom glass needs covered, from custom glass and mirrors, table tops, art glass, Film, and frames. Decorative Cabinet Glass Upgrade your cabinets with custom decorative glass inserts to refresh interiors, invigorate your decor and enhance your home or office. All Glass Glass & Window will cut and install the glass to perfectly fit into your cabinets. We are locally owned and operated with the best prices available. We don't have all the overhead, so we can offer at least a 60% off sale from NAGS pricing. We don't compromise quality and you won't find better prices. We have over 40 years of experience in auto glass replacement & over 35 years in commercial glass installation experience. We are a full service shop who will perform our work with diligence for your 100% satisfaction. Sun Glass and Door services are wide ranging. They include both residential and commercial. What can a local Indian Trail glass company help me with? If it’s a major home glass repair or replacement, the Indian Trail glass company should work directly with your insurance company to help bring down costs for you, if applicable. Find Indian Trail glass companies on Houzz. Narrow your search in the Professionals section of the website to local glass, mirror and shower door services in Indian Trail, NC and read reviews and ratings to find one that fits your needs.